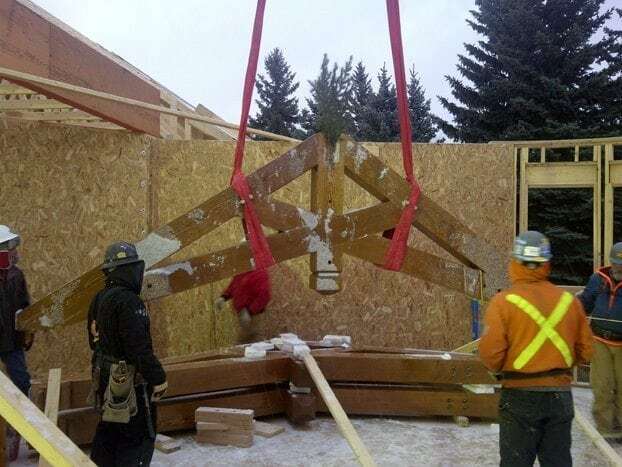 The tradition and legacy of a timber frame home is something that is as common throughout Canada as it is in the U.S. From the initial design to the time-honored timber frame raising events to the finished home, Riverbend helps clients achieve their dream homes across Canada. Today we speak with our Canadian Sales Manager, Brent Cooper, as he recalls some of his most memorable projects. In regards to codes, Canada is different in several ways from the United States. A big difference is how we approach Energy Efficiency. 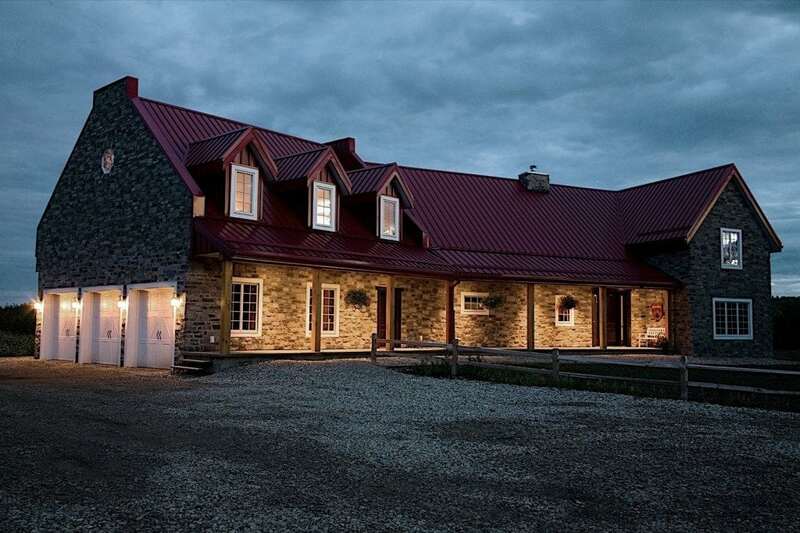 The great thing about Riverbend’s building systems is that we actually exceed many of the minimum energy requirements across Canada. By using SIPs for the walls and roof, passing code inspections is usually a breeze. In fact, we have recently had two homes in Alberta receive an EnerGuide rating of 86, which is outstanding. What was your favorite raising experience and why? Each and every raising has its own character, but my favorite would have to still be the first one I attended in 2006. This was a modified Tuscany plan and I was simply in awe at the ease of how the frame went together. It was quite a local event too as we had up to 30 folks sit up on the hill overlooking the property, enjoying wine and snacks as they watched these timbers take the shape of a home. I still remember the feeling of accomplishment as I watched the sun set behind the frame at dusk. What has been your most challenging raising so far? We had a raising in Canmore, Alberta in December of 2007 where there was at least 3 inches of snow on the deck and the temperature was a chilling -35°C. I had planned a raising event for that day and there we all were, huddled in our cars watching the frame go up. Despite the blistering cold, our site advisor did not seem to be bothered in the slightest—working throughout the entire process with just a hoodie on! What has been your most memorable raising? The most memorable raising, for me, would still be that first Tuscany I witnessed go up, but a close second is a home we did in Abbotsford BC. The custom home was a design with an exceptional view. It was built on Eagle Mountain and had an unobstructed view of majestic Mount Baker in the state of Washington. As we raised the frame I couldn’t help but imagine myself sitting on that timber deck, enjoying a quiet evening as if it was my own home. The deck is still one of my favorite outside spaces that we’ve done to date.